Coventry City manager Mark Robins heaped praise on young Arsenal forward Eddie Nketiah and even hinted at a potential loan move for the player in January after his display in the Checkatrade Trophy. The two clubs met at the Ricoh Arena on Wednesday night and the north London giants ran out 3-0 winners. 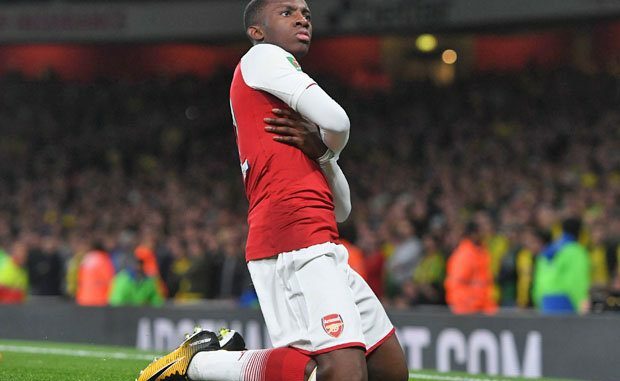 It was Eddie Nketiah himself, who was a second-half substitute, who netted the second goal of the game. Speaking to Coventry Live after the match, Robins could not help but admire the level of quality that ex-Arsenal Freddie Ljungberg has at his disposal. Eddie was heavily involved in the Gunners squad during pre-season but is yet to break through at the Emirates Stadium at the tender age of 19. The England youth international star is also yet to get his first taste of senior-team football at a senior level, something Arsenal may look to change for the sake of Eddie’s development sooner rather than later.